Per ESPN, a former Army officer is planning to separate from another, much less formal, branch of U.S. service. Mike Krzyzewski told ESPN’s Andy Katz that next year’s Summer Olympics in Rio de Janeiro, Brazil, will be his last as head coach of Team USA men’s basketball. The team is 75-1 under his guidance, including unbeaten runs to Olympic gold in 2008 and 2012, as well as a win in 2014’s FIBA World Cup. 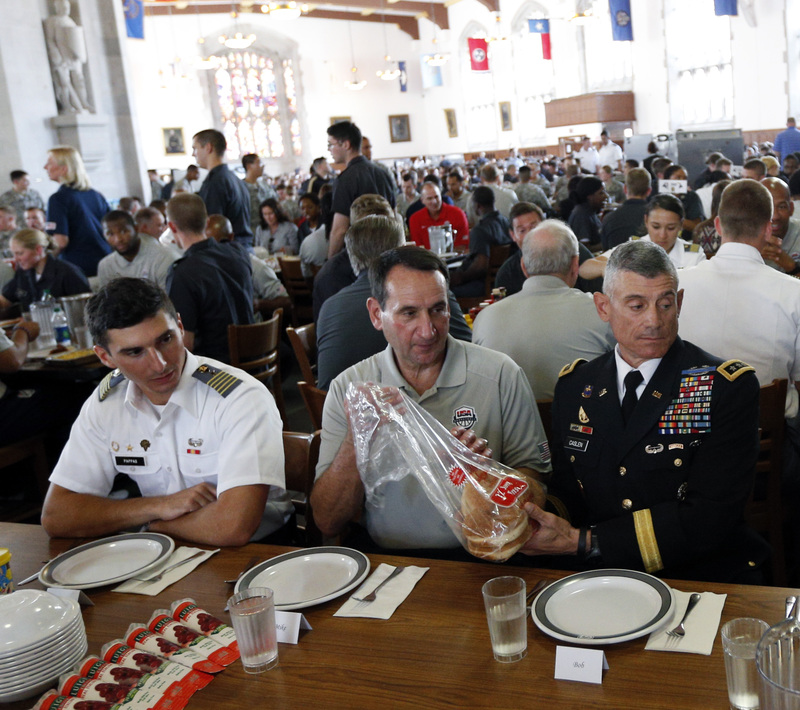 Prior to that last trophy, Krzyzewski brought his team to his alma mater, the U.S. Military Academy, for a daylong tour capped off by a nationally televised split-squad scrimmage. He said he hoped the visit would inspire the team, which lacked in star power thanks in part to injuries and its non-Olympic gold medal goal. And he knew that simply telling his players about West Point wasn’t going to cut it. Krzyzewski played for the Black Knights under head coach Bobby Knight prior to his 1969 graduation, then fulfilled his service commitment before eventually returning to West Point for a five-year run at the helm of the men’s hoops program. That led to a position at Duke, where Krzyzewski has made good use of all that Army leadership training. He’s even done a bit of recruiting on the side. No successor at Team USA has been announced, though Katz’s piece says a plan will be revealed before the Rio games. Coach K won’t be the only Army representative in Brazil, either: A number of active-duty soldiers already have qualified to participate, with more set to make the attempt in boxing, wrestling, shooting and other events.